Artists were chosen for a loose association with the artisanal strengths of the Mexican city, Eduardo Sarabia in particular. 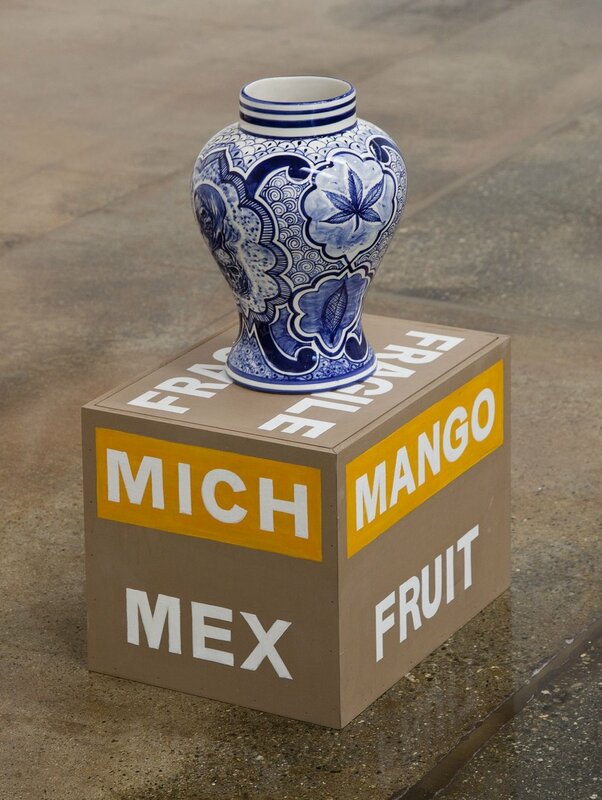 One his own altered blue and white ceramics stands atop a wooden stand labeled mango fruit. (A survey of his art is now on view at The Mistake Room.) As such, the show offers an introduction to these particular artists as well as operating as a map for the ongoing treasure hunt offered via PST LA/LA.